There’s a company based in the United Kingdom by the name of Don Law Racing that specializes in replacement parts for the Jaguar XJ220. Late last year, the company teamed up with Bridgestone to develop a new set of tires for the car using all the advancements that have been made in tire technology since the XJ220 bowed out of production more than two decades ago. 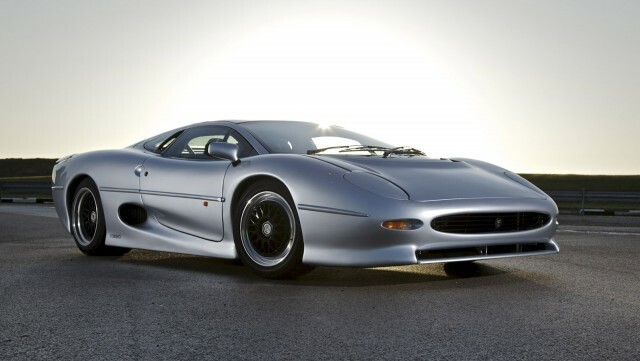 Bridgestone worked with the original Jaguar engineers and test drivers responsible for the XJ220, and it used a pre-production chassis—chassis #004, to be exact—for testing purposes. Here we have a glimpse of what the testing involved. The resulting tires measure 255/45ZR17 for the front and a massive 345/55/ZR18 out back. Unfortunately, we don’t have any performance numbers so can’t tell you if the new tires have helped make the XJ220 any quicker. Interestingly, for a car from the 1990s whose production numbered less than 300 units, it’s surprising that Bridgestone isn’t the only company that’s developed new tires for the XJ220. Last year we also saw Jaguar’s own classic car department Jaguar Classic team up with Pirelli to develop a tire for the car. We’re sure the few hundred owners out there will be happy with having a choice next time they require some new rubber.